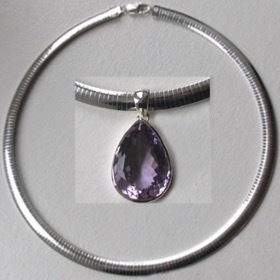 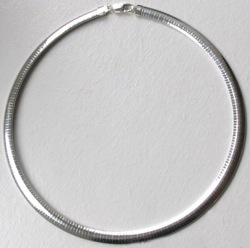 An omega necklace is a wiry, firm style that curves around the base of your neck. 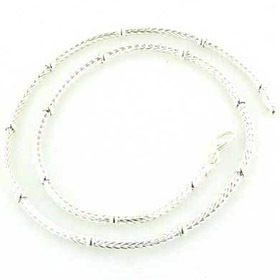 Our herringbone chain with draddles behaves in a very similar way but is slightly softer. 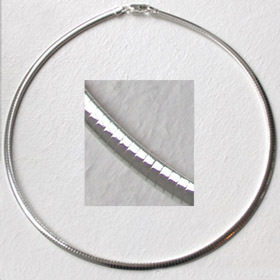 Both make excellent sleek necklaces on their own or as chokers for pendants. 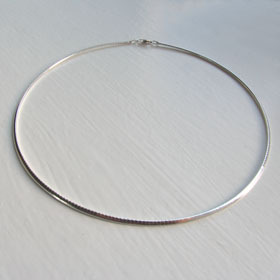 Our omega necklaces are not rigid.